Grade Potential tutors help you conquer your calculus coursework through personalized attention and expert knowledge. Each calculus tutor provides the support you need to boost grades and reach your academic goals. Whether you’re looking for a Pre-Calculus tutor or an AP Calculus tutor, Grade Potential is the place to go. Grade Potential doesn’t take a one-size-fits-all approach to tutoring. Rather, we look at each individual student’s personality and learning style and adjust our tutoring accordingly. Whether you need tutoring from a Pre-Calculus tutor or an AP Calculus tutor, you can be sure that the support you receive will be uniquely tailored to you. Our tutors come to you and work with you on your schedule and at your location, doing everything we can to help you reach your goals. Each calculus tutor at Grade Potential has extensive knowledge about calculus coursework and uses that knowledge to help simplify and explain concepts to you. 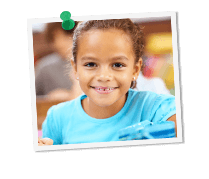 We’re here to empower you to feel confident in the classroom and capable of reaching your fullest potential in schoolwork.